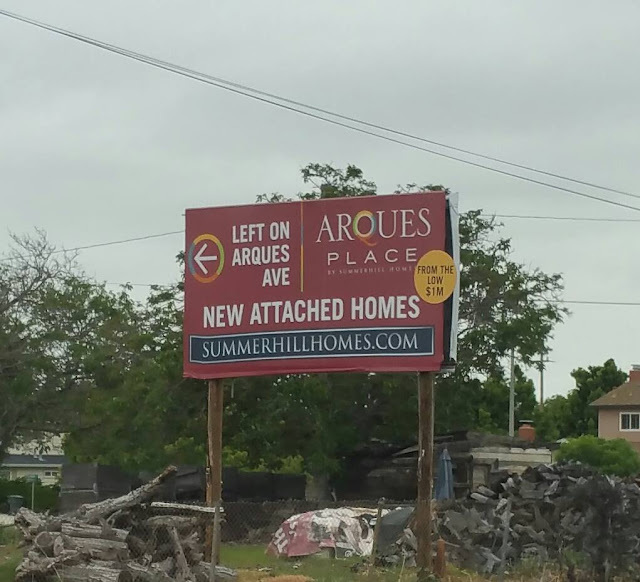 85 units of Arques Place would have a Homeowner’s Association and the monthly fees will be $257. Arques Place's HOA dues cover water for each home, garbage and sewer, insurance for the building, common area landscaping, private streets, exterior building maintenance, including community club house and professional management. There are no pool on the property. Is it deal or no deal? The mortgage calculator tells that monthly payment would be approximately $4,000 considering twenty percent downpayment, add monthly HOA fee $257 and do not forget property taxes. I would estimate that the homebuyer would pay around $5,500 per month for 3 bedrooms and 2.5 bathroom townhouse in Arques Place. It sounds like a lot, but do not forget that rent for 2 bedroom apartment in near by Madera Apartments in downtown Mountain View was around $5,300 per month just a few month ago! Is it better to rent or buy? The only downside of Arques Place is that both Sunnyvale and Lawrence Caltrain stations are not within the walking distance from the new Sunnyvale homes.